Rosie O’Donnell & Sean Hayes Join Hairspray Live! You can’t stop the motion of…Hairspray Live!’s casting announcements. 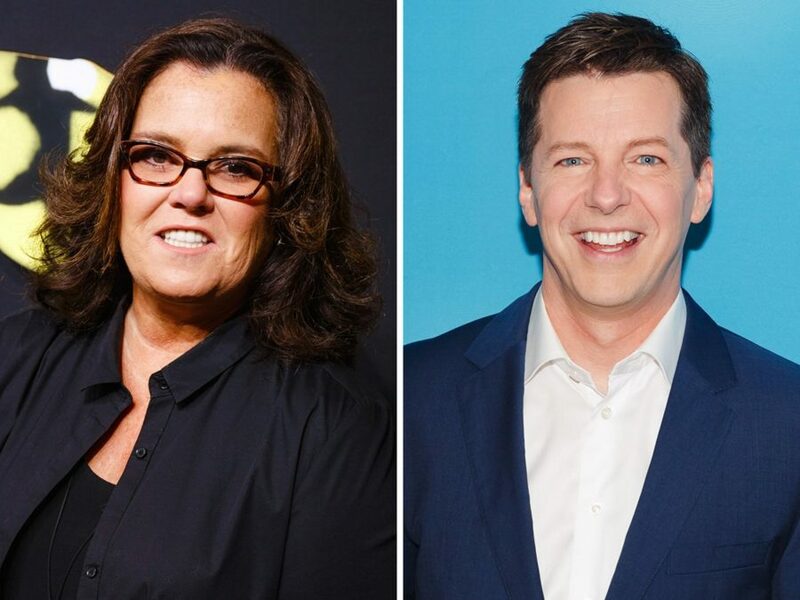 Emmy winners and Broadway cheerleaders Rosie O'Donnell and Sean Hayes have signed on for NBC’s broadcast, set for December 7 as the gym teacher and Mr. Pinky, respectively. Executive producers Neil Meron and Craig Zadan made the announcement during the Television Critics Association’s press tour in Los Angeles; they did not, however, confirm whether the two would take on the additional double-cast roles, including Prudy Pingleton and the Principal, as the tracks did in the Broadway production. O’Donnell and Hayes, who also both won Emmys for their respective stints as Tony Award hosts, join a cast that includes Kristin Chenoweth, Jennifer Hudson, Harvey Fierstein and Maddie Baillio. O’Donnell, a multiple Daytime Emmy Award winner for her own talk show and The View, has been a longtime proponent of musical theater. She has appeared on the Broadway stage in Grease, Seussical and Fiddler on the Roof. She has also appeared on screen in A League of Their Own and The Fosters. In 2014, she received the Tonys' honorary Isabelle Stevenson Award. Hayes currently plays the titular deity in An Act of God on Broadway. He won an Emmy (and received six subsequent nominations) for his performance as Jack McFarland on the NBC series Will and Grace. His additional screen credits include Sean Saves the World, The Millers and Smash. Prior to An Act of God, Hayes received a Tony nomination for his Broadway debut in Promises, Promises (opposite Hairspray Live! co-star Chenoweth). Additional casting, including the role of Seaweed, will be announced later. Expect plenty of names familiar to the Broadway community to appear in the ensemble.